Alipour, M., Karimi, K. (2018). Numerical treatment for nonlinear steady flow of a third grade‎ fluid in a porous half space by neural networks optimized. Computational Methods for Differential Equations, 6(1), 53-62. Mohsen Alipour; Kobra Karimi. "Numerical treatment for nonlinear steady flow of a third grade‎ fluid in a porous half space by neural networks optimized". 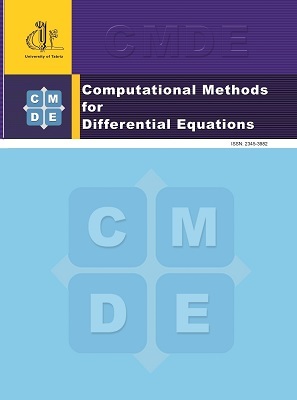 Computational Methods for Differential Equations, 6, 1, 2018, 53-62. Alipour, M., Karimi, K. (2018). 'Numerical treatment for nonlinear steady flow of a third grade‎ fluid in a porous half space by neural networks optimized', Computational Methods for Differential Equations, 6(1), pp. 53-62. Alipour, M., Karimi, K. Numerical treatment for nonlinear steady flow of a third grade‎ fluid in a porous half space by neural networks optimized. Computational Methods for Differential Equations, 2018; 6(1): 53-62.